The former IAS officer has promised to bridge the gap between Pakistan and India to find a peaceful resolution to the Kashmir dispute. 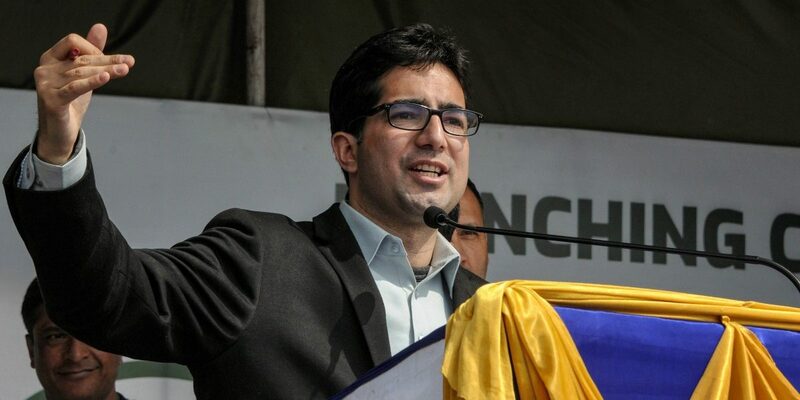 Srinagar: Former IAS officer Shah Faesal launched a political party on Sunday – the Jammu and Kashmir People’s Movement (JKPM) – with a promise to bridge the distance between New Delhi and Islamabad in order to resolve the Kashmir dispute. “I have not come here to engage in traditional politics,” Faesal said while launching party in Srinagar. The ceremony was held inside a park in Posh Rajbagh, which was festooned with banners and white flags carrying Faesal’s pictures. “This party doesn’t belong to any particular religion or group. It is people’s party, and I invite all of you, particularly the youth, to join us,” Faesal said to a cheering crowd. Faesal, who quit the services in January this year to protests against “unabated killings” in Kashmir, said his party will pursue a peaceful resolution to the Kashmir dispute, as per the will and aspirations of people in Jammu and Kashmir. “But this resolution has to come from India and Pakistan. 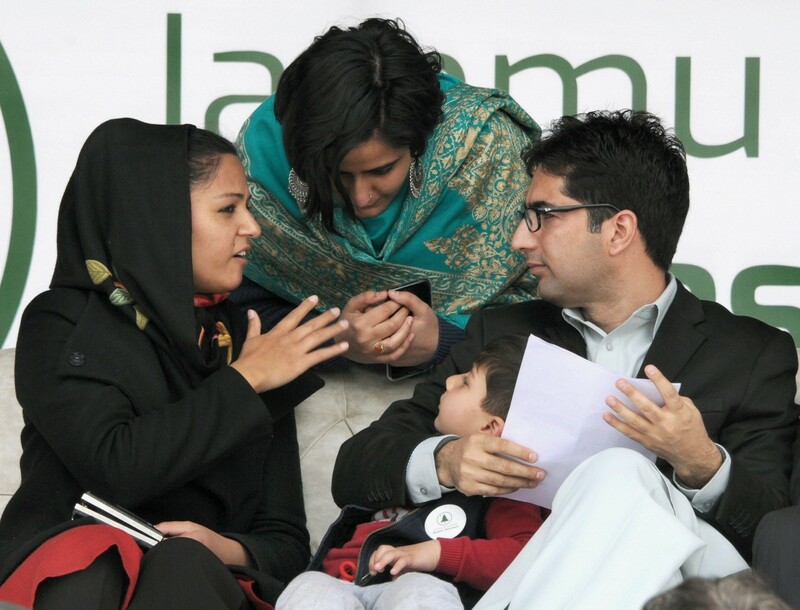 It is a long journey, but we can facilitate to bridge the distance between New Delhi and Pakistan,” said Faesal, who was the 2010 IAS topper. For more than two months now, Faesal has been meeting people to garner support and bring “like-minded individuals” into the fold. “The party will take everybody along in an attempt to bring about sustainable peace in the state by making people politically empowered, economically prosperous, socially emancipated… and environmentally conscious,” reads the party’s vision document that was released hours before its lunch. The document mentioned that the party will leverage J&K’s location as a gateway to Central Asia as a “Look up North centre for the subcontinent” and work for transforming the state as “corridor of peace”. In his speech, the bureaucrat-turned-politician said his party, which is using the slogan “Hawa badlegi (Winds will change)”, will focus on the youth and their problems. “Our party will be youth-oriented,” said Faesal, who is from the Lolab Valley in the frontier district of Kupwara in north Kashmir. Also read | How Will Shah Faesal’s ‘New Vocabulary’ Fit Into J&K’s Political Landscape? “…it is the youth who has been the victims. The youth face pellets and bullets and it is the youth who die. Youth representation is a must for us. We want to save our youth, who are sacrificing their lives,” said Faesal, while revealing his plans to make his party a pan-J&K force. “It is a people’s party,” said Faesal. Though Faesal has kept his cards close to his chest, the party is likely to field candidates for the Lok Sabha polls in J&K and challenge the traditional parties in the state. “We are chalking out our plans. Many people have already joined us and more faces, some of them experienced ones, will join this movement in the coming days. Then, accordingly, the focus will shift on the next big thing (the elections),” said a close aide of Faesal’s. The young politician has received significant support, especially on social media, in and outside Kashmir. The launch function was attended by hundreds of people from different districts. Student activist Shehla Rashid too formally announced that she will be joining the party, as did a group of others including businessmen. “We all have sacrificed something to join this movement for our people,” said Faesal. For the first time, Faesal talked about the “offers” that he had got from three political parties for joining them. “I had decided to join one party and I was in tough with them…” said Faesal, referring to the National Conference, which had offered him a ticket to contest the Lok Sabha elections from north Kashmir’s Baramulla constituency. Talking about his journey from becoming a doctor to topping the IAS and now choosing politics as a career, Faesal said after spending ten years in the system as an IAS officer, he realised that his “diagnosis” was wrong. “I had come into IAS thinking that roads, schools, water and hospitals will bring peace here, but I realised that till bloodshed continues in Kashmir…development is of no use,” he said. Hitting out at state political parties, Faesal said they have kept people as “slaves” for the past 70 years. “It was the barrage of abuses and anger from the youth that I faced on social media that ultimately forced me to change my mind, and not join hands with those whose hands are drenched in the blood of people,” he said. While Faesal is likely to pose a challenge to traditional parties in Kashmir, some political leaders have openly accused him of being New Delhi’s proxy. Tanvir Sadiq, a senior National Conference leader, tweeted that the state should be “beware” of Faesal’s plans. Faesal referred to the accusations made against him at the launch. “The same people who were asking me to join them have now started saying that this (Faesal’s party) is propaganda launched by the RSS, BJP and the government of India. Only time will prove what it is,” he said. In her first public speech in Kashmir, Shehla Rashid said the JKPM will start a movement in colleges and universities to ensure that students are allowed to raise their voice on issues from education to human rights and Kashmiri’s political problem. “It will be our agenda to empower students,” she said. Students politics has been banned in Kashmir colleges and universities. Rashid, the former vice-president of the Jawaharlal Nehru University students’ union, appealed to women in Kashmir to join the party. “Women are the worst sufferers in this conflict. I appeal to them to join us. We will become your voice,” she said, reiterating the party’s vision to facilitate a peaceful resolution in Kashmir. Those who attended the launch ceremony were a mix of the young and elderly. Among them was Bahadur Singh from Baramulla, who was excited to join the party. “He (Faesal) seems honest. He is educated and gave up such a high-profile job. We are hopeful he will work for the people and the state,” said Singh. Mohammad Ashraf from Bandipora said he was with Congress till 2007 before joining the National Conference. “Except promises, we didn’t get anything from politicians. We have seen Faesal sahib as district commissioner (of Bandipora), and he would work for the people. That is what brought me closer to him, and I now felt the need to support his voice,” said Ashraf. But Rasheed Khatana from the Kangan area in Ganderbal district was cautious about why he travelled more than 30 km to attend the rally.